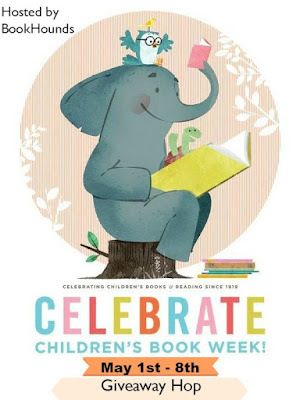 Welcome to the Celebrate Children's Book Week Hop! 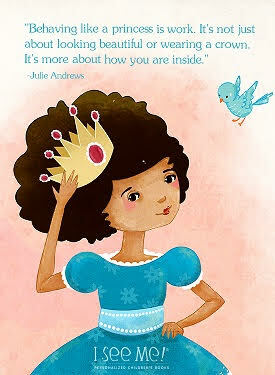 I recently had the opportunity to review a personalized princess book from I See Me and they have so generously allowed me to offer one Nanny to Mommy reader the chance to win a copy for the little princess in their life as well! "Our mission is to increase self-esteem in children through personalized books that celebrate the uniqueness of each child. The goal of our books is to show each child how absolutely unique and special he or she is, to teach the child how to spell his or her name, and to build vocabulary skills." I am so excited to offer one lucky Nanny to Mommy reader a personalized copy of Princess: The Day in the Life of a Princess! Entry is simple, just follow the prompts on the Rafflecopter below. Open to US only, must be 18+ to enter. Make sure to follow us on Facebook so you can stay up to date with our current giveaways. Good luck! Make sure to enter more giveaways below! I received complimentary products to provide this post. All opinions are my own. I See Me is responsible for prize fulfillment. Facebook, Twitter, Pinterest and any other social media are not affiliated with this giveaway. Nanny to Mommy received complimentary products to provide this review and giveaway. Nanny to Mommy is not responsible for sponsors who do not fulfill prize obligations. This giveaway is open to US only, must be 18+ to enter. Cannot be shipped to P.O. boxes. One entry per household/IP address. No social media was involved in this giveaway in any way. Winner is chosen via Random.org through Rafflecopter. ALL winning entries ARE verified. Winner will have 48 hours to respond with all information in email or another winner will be chosen. If you would like to see your product featured on our blog or sponsor a giveaway event, please contact us. This will be for my grandson who turns 3 in July. He would also love the books 1-2-3 Blast Off & My Very Own Truck Book. I would give this to a friend of mine who has a little girl. My grandson would like that My Very Own Truck Book. I would give this to my daughter. She would also like My Very Own Fairy Tale and 1-2-3 Blast Off. This would be for our little girl. I think would also like her Very Own Fairy Tale. She also has an uncommon name so all of the personalized goodies, like the place-mat (setting the table is her new chore), would be loved.